It’s no secret that the job-hunting process is, more often than not, gruelling and highly competitive. Even when you think you have found the perfect position, sending out the perfect CV and cover letter is not the hardest part – more often than not, the fate of your application will ultimately hinge on how well you do in the job interview. That’s why you will find a decent amount of literature on how to to get them right available on the internet. Generally, these tips and tricks tend to focus on things like how to dress or the best way to answer tough questions. A commonly-overlooked, but equally significant component of job interview preparation is non-verbal communication, or body language. 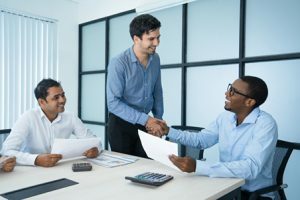 You never have a second chance at a first impression: simple things like a firm handshake, maintaining eye contact and even basic manners are often taken for granted, yet they can have a meaningful impact on how people perceive you, particularly in a professional setting like a job interview. 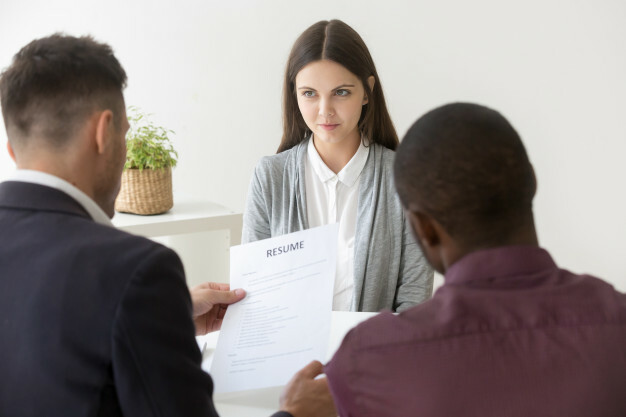 It came out that a little over 50% of employers and recruiters know within the first 5 minutes whether or not they think a candidate is right for the position they’re looking to fill. In a job market that is more competitive than ever before, securing every possible advantage is in the best interest of anyone looking to be proactive in maximising their chances in an interview. While this may seem somewhat cliché, there is actually some research that may back-up just how powerful a handshake can really be in an interview context: a research project (conducted by Frank Bernieri at the University of Toledo in Ohio) aimed to uncover the impact of different impressions in job interviews, testing to see if any mannerisms could possibly lead to positive outcomes for candidates, and the results indicated that even professional interviewers seem to have their decisions significantly impacted by a simple handshake. Whatever your thoughts on these results, make sure you don’t forget this simple but proven way to start on a good note. There should be congruence between how your body and face reacts to statements and what you say in response to those same statements. Research indicates that 55% of communication is non-verbal, and people pick up on these cues, be it consciously or unconsciously. Consider this simple example: if you’re asked a tough question and you smile in response before responding positively, you’re more likely to be perceived as sincere. If you hesitate, speak first and then put on a smile, it comes off as more deceitful. It is important to come across as open and approachable. When people are nervous, they often cross their legs or fold their arms to feel more comfortable and secure. It is important to be aware of this – sitting with crossed legs or folded arms can come across as closed-off and disinterested, or even defensive and stubborn. Be mindful of your limbs and ensure you aren’t sending an unintended message. An easy way to come off as disinterested or even rude is to let your eyes wander while your interviewer is asking you questions. However, if you stare at them for too long without blinking, it can also look like you’ve gotten bored and zoned out. Maintaining good, natural eye contact when they talk does two things: firstly, it shows them you’re engaged and present in the interview; secondly, it shows that you are able to focus in an uncomfortable situation under some pressure – which mimics the realities of many workplaces. There is research that indicates that unconscious mimicry – the act of mirroring certain habits, movements or gestures – creates affiliation and rapport between people, and can often subconsciously signal that two people are becoming more comfortable in one another’s presence. See if you can find a natural motion or gesture, something like leaning in slightly when speaking, and lightly mimic it in your own way to create familiarity. Interestingly enough, it isn’t as easy to fake a smile as you might think. Many people can tell when a smile isn’t genuine, and it shows most prominently through the appearance of “crow’s feet” around the eyes. A genuine smile will cause the muscles around your mouth and eyes to activate, so when most people fake it, those crow’s feet don’t appear and it immediately sends a signal that you’re being insincere. If you are sitting at a table across from an interviewer, rather let things like smiling and laughter happen organically. These simple tricks will put you ahead of a good majority of candidates who aren’t even thinking about body language, and there should now be no doubt in your mind as to the importance of it in a job interview. However, it’s clear that being aware of this fact places you in a powerful position to be proactive in using non-verbal communication to your advantage by sending the right signals.